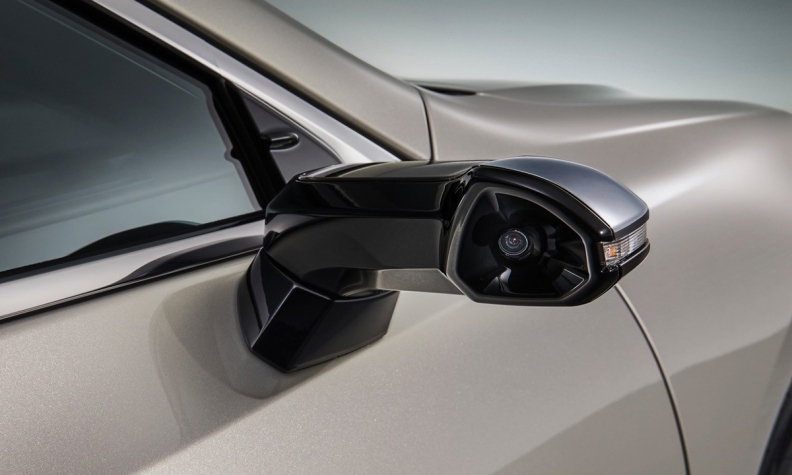 Lexus' camera-based mirrors will debut in Japan on the ES model. The brand will review market feedback to determine whether to expand the system to other nameplates. The technology will debut in the redesigned ES sedan in Japan, before brand reviews market feedback to determine whether to expand the system to other models. The camera-based system will initially only be available in Japan because the country streamlines regulations to allow for mirrorless vehicles. Mirrorless cars -- or vehicles that drop old-school glass mirrors in favor of video screens -- have long been proposed by stylists and engineers wanting sleeker looks and improved safety. They can also help improve a vehicle's fuel efficiency because the camera setups have lower wind resistance. On the ES, the change dumps the bulbous metal side pods with their reflective glass mirrors in favor of slim winglets that house digital cameras. The cameras transmit images onto 5-inch monitors in the cabin at the base of the front pillars. The new system will be optional in Japan. Lexus parent company Toyota on Wednesday announced the rollout in a news release, calling it the world's first application of such "digital outer mirrors." Cameras have numerous advantages over traditional mirrors, Toyota said. For starters, the cameras capture a clearer view to the right, left and rear of the vehicle, especially at night and in bad weather. The system also automatically enhances areas that need special attention, such as the direction a vehicle is turning, Toyota said. The view can be further enhanced manually for better detail. The compact size of the side mirrors also improves forward visibility from the cockpit and reduces wind noise for a quieter cabin. Moreover, the digital camera winglets are shaped to resist the accumulation of rain droplets and snow for a less obstructed view. Introduction to other markets will depend on local regulations. Toyota is researching such regional rules, spokeswoman Akiko Kita said. Japan took a lead in promoting the technology in 2016 when the government adopted rules that let vehicles use cameras instead of mirrors. Among the companies working on the technology are Japanese supplier Ichikoh Industries and Germany's Robert Bosch. 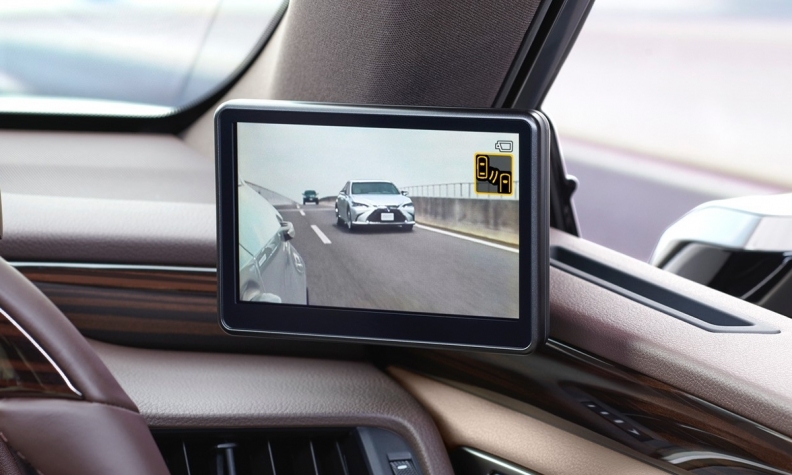 In 2016, Ichikoh forecast that by 2023, about 29 percent of the Japanese market -- or some 2.3 million vehicles -- will have video monitors as interior mirrors. At the same time, it forecasts that about 12 percent of the market -- about 900,000 vehicles -- will have jettisoned exterior sideview mirrors for cameras. With its French partner Valeo, Ichikoh plans to introduce its monitor systems outside Japan, including the U.S. and Europe.